Certified Financial Planner Dustin Javier, owner of Dean Johnson Advisory, LLC (in Downers Grove, IL), announces financial and retirement planning services designed specifically for Chicago’s distinct Filipino population. I chose to start my firm based on the value of family. 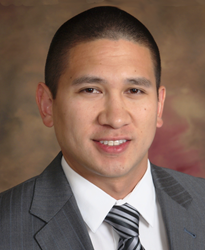 Certified Financial Planner Dustin Javier, owner of Dean Johnson Advisory, LLC in Downers Grove, IL, announces financial and retirement planning services designed specifically for Chicago’s distinct Filipino population. Dean Johnson Advisory is the first financial consulting firm to focus on educating and empowering the Chicago-area Pinoy community by assisting families with retirement strategies, college planning and investing for financial growth. While earning his certified financial planner (CFP) certification, Javier identified a tremendous unmet need for quality financial consulting services that can rise to the complexity of Chicago’s vibrant Filipino community. Chicago-born first generation Filipino-American and independent fiduciary planner, Javier offers a fundamental understanding of the Filipino experience and their economic challenges and objectives. As an independent financial planner, Javier is not obligated to any single “big box” investment company, which means he can provide financial solutions to clients that best meet their needs, rather than restricting them to the limited products distributed by large commercial companies. As a fiduciary, Javier also has a legal and ethical obligation to act in his client’s best interest. “I chose to start my firm based on the value of family,” Javier says. “Filipino-American families strive to provide a good life for their children and enjoy a retirement of financial freedom for themselves. Javier’s two brothers are physicians practicing in Chicago. Through Dean Johnson Advisory, they are seeking to retire in half the traditional career span. Javier meets with people every day of the week in his Downers Grove office, at their homes, or through virtual technology to make access to his services as easy as possible. He designed his firm for maximum accessibility in order to make sure his clients have a dependable means to communicate with him about how best to achieve their retirement goals, avoid student debt, and save enough money to visit family and friends in the Philippines as they please. Javier takes a proactive approach to financial planning that includes analyzing each individual client’s current financial situation including 401(k) contributions, and evaluating how well all their investment accounts work together to meet their ultimate goals. Offering personalized guidance and planning, Javier acts as his client’s personal CFO. A former boxer, Javier channels lessons learned in the ring to fight for his clients’ financial dreams.